Living The Kingdom. Transforming Lives. Impacting The Nations. A Big Wave is Coming! Leaders in Asia and beyond are crying out for help. How do we equip these leaders for growing ministry? How do we prepare them for going to where we are not? APLC aims to provide a custom-made curriculum for YOU with multiple topics to address your TOP 10 FELT NEEDS. Spend 6 weeks of quality time with elders/leaders who are committed to building your capacity, enhancing your competencies, and increasing your conﬁdence through mentoring/coaching relationships - afﬁrming, honoring and empowering YOU and YOUR MINISTRY to thrive. Applicants will take a survey to determine their greatest felt needs in these 6 main categories. Teaching and content will then be adjusted to match what participants need the most. Emphasis will be on experienced leaders "being with" the participants - helping them to process and apply the content in their local context. In addition, each participant will be assigned a leadership coach who will meet with them regularly both during the course, and for up to 1 year afterward, to ensure that progress and application is made. Cost: The fees for the school are dependent on your country of origin. 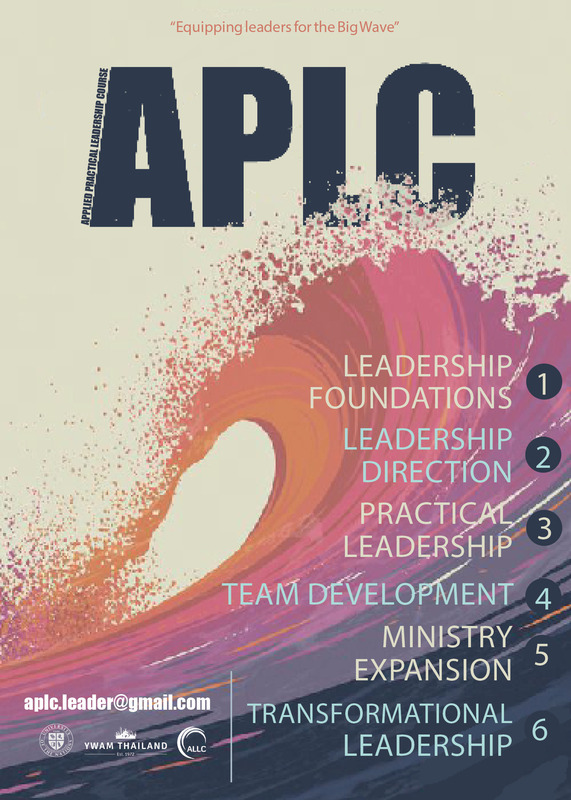 Please email APLC.leader@gmail.com for more information. Course Requirements: DTS graduate; minimum 1 year of some type of leadership experience. © 2019 YWAM Thailand. Copyright & Privacy Policies. Part of the YWAM global family of ministries.